In April next year the government will make it compulsory for any landlord(with a few exceptions) to have a property that is not ‘F’ or ‘G’ graded by EPC if they wish to make a new rental contract. Existing rental contracts will not be affected by the new legislation (until renewal that is). This move should not concern genuine landlords with good intentions for tenants at all as I will cover in more detail. 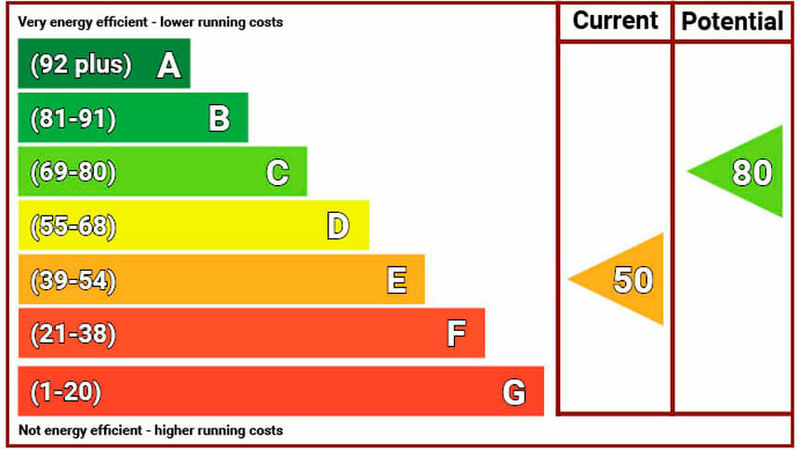 After all, a property well insulated, with higher EPC rating, commands a higher rental anyway. It’s an opportunity to improve your property with an eye on the future, and maximising the potential of any property you own or manage, as well as improving the environment. Before going into significant detail, I’d just like to quickly point out that listed building owners are rightfully not going to be effected by this(or at least this is my understanding as of July 2017). It is impossible to enforce when upgrading is already difficult to say the least, and I am really pleased for owners that common sense prevailed to this point. Draught proofing sash windows and casements. This is one of our core London services which we pride ourselves on quality and competitive pricing. A sash window will cost as little as £200 to a maximum of £250 to draught proof fully. There are further benefits beyond the EPC report. When we draught proof we will need to fully overhaul your sash window to ensure maximum effectiveness of draught proofing. Main improvements that go hand in hand with draught proofing are counterbalancing sashes correctly, replacing sash cords, machining sashes to better fit frame, and aligning meeting rails. These core improvements are part of a comprehensive overhaul and draught proofing service, which should not need to be looked at again for ten years. We use a quality brush pile carrier so in ten years time (or so), when the draught proofing pile is not fully effective, sliding in new draught seals into the original brush pile carrier costs a few pounds per window. Since we use high quality sash cords, there is no reason to believe a draught proofing system will not be effective for around twenty years if maintained correctly and at the right intervals. You’ll increase your property security as we will install high quality catches and can also supply security bolts (often known as security restrictors) at cost price as part of the service as well. 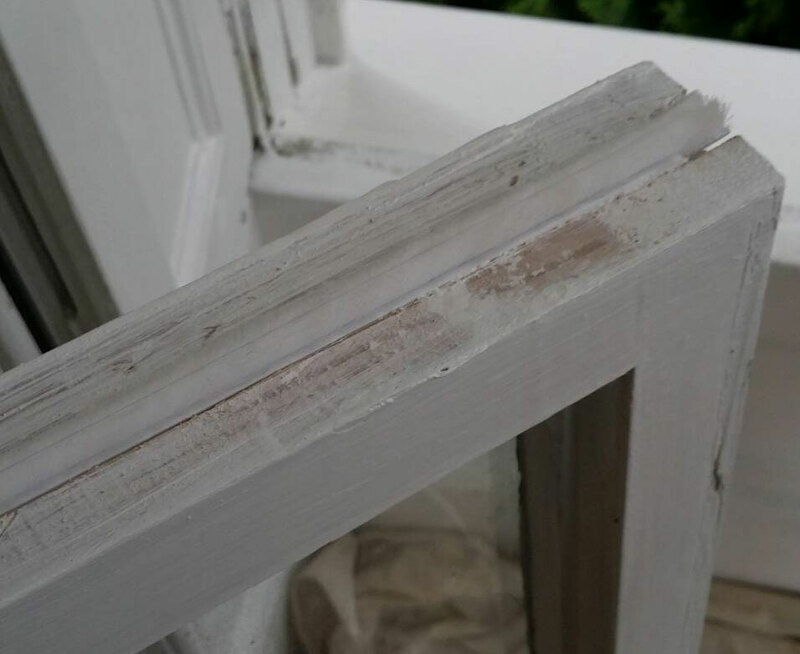 Whilst overhauling and draught proofing your sash window it is an excellent opportunity to effect any sash window repairs you might require. Since we are doing plenty of work already with the draught proofing and overhauling, it’s an excellent opportunity to benefit from economies of scale, commanding our very lowest sash window repair prices. Further to this if you have any little issues such as broken panes of glass this is a another service can provide whilst carrying out the entire package from just £40 per pane of glass. In summary, the new EPC rules are obviously an inconvenience, but there are plenty of ways to take advantage of the situation, and it’s certainly true that draught proofing will have a positive effect on the environment. Draught proofing French doors & standard doors. French doors that are ill fitting are probably the most draught of all home apertures. Installing a draught proofing system on original wooden French doors is important, however prior to doing so, it is equally important that French doors are adjusted into the original frame to sit are best they can first. This is turn provides the additional benefit of being fully functional, and will never again become stuck because of swelling in the winter months. The draught proofing system itself requires 4.5mm gap in order that a tight seal can be made without becoming overly stiff. Half a centimetre is a very small aperture for wooden French doors that will have moved over time and the gap taken up nicely with draught proofing – which in turn allows the the timber to move without sticking, or requiring additional machining for smooth function. This further ensures locking mechanism cannot get caught or stuck. Quality maintenance then reduces the possibility of broken or cracked glass whereby a French door that’s stuck requires excessive force to open, resulting in twisting of the joinery. A further improvement is when decorating, it is now impossible to stick your French doors with paint as a result of the 4.5mm tolerance previously mentioned. This is just another example of taking advantage of the new legislation – if you’re aware your French doors need a service, it’s an easy opportunity to kill two birds with one stone, and where true value can be found! Installing single glazed sash windows with double glazed units using existing joinery. I’ve discussed using original joinery and installing a double glazed unit at great lengths in the link provided. A very brief rundown of the operation is that we will first asses the viability of your original sash windows for double glazing. That is simply a case of us popping around, checking the depth of the sash and its structural integrity to ensure a double glazed unit could be installed without causing any future issues. Double glazing original sash windows – ready for decoration. This method is condemned by many sash window companies for structural reasons, as well as the lack of ability to guarantee the double glazed units (in there eyes only might I add). Just to be sure there are a few key facts with double glazing original sash windows. 1) It is a much more difficult and skilled job to do than manufacture replica sashes with an offset mortice and tenon in a comfortable, heated workshop. 2) Replacing sashes using original frame is a much more profitable job for a sash window companies and requires less than a third of the time on site. 3) Following on from the cost theme – double glazing original joinery starts at £480 per window, where as replacement sashes installed into the original frame start from £620.00 (approximately 30 % cheaper re-using your original joinery). This is a genuine saving. 4) We offer a comprehensive five year guarantee on all double glazing of original sash windows. 5) In most cases we install exactly the same glazing and air cavity as we would if replacing the sash and using existing frame. So armed with those facts, I would let you make your own mind up, or speak to dozens of our happy customers first, or any of the other many genuine sash window companies offering this useful service. It should be noted that this service is equally viable for homeowners with wooden casement windows. Here’s a picture of what double glazing to the original sash will look like on completion. Manufacture and install double glazed sash windows to existing frames. 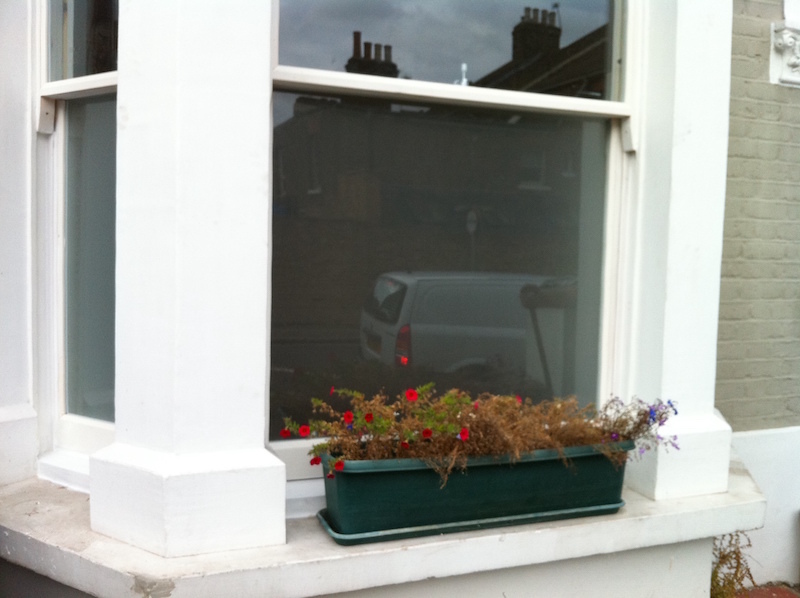 If your sash windows are a little slender to carry double glazing there are two options. Firstly we could do slim units into the original sash. The problem with slim units is the cost, and pound for pound not a great insulator. For less cost we can manufacture and install new double glazed sash windows, offsetting the mortice and tenon, and minimally reducing the size of the internal profile to allow for the additional thickness of glass. This method is favourable over slim simply based on cost. Slim lite units are more useful for exceptional circumstances. 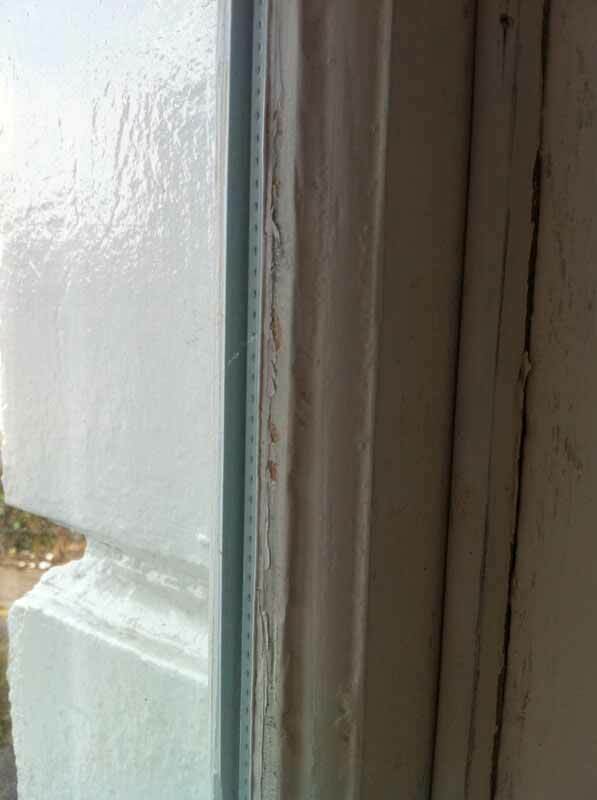 An example being if you are in a listed building you may not have the opportunity to simply replace sashes. We manufacture sash to match replicas and neatly hide the double glazed unit. The first image shows inside a sash which is just primed and undercoated. Looking inside a new wooden double glazed sash window, using existing original sash frame. This image shows how looking straight on, double glazed sash windows are every bit as elegant as the single glazed counterparts. Even from just a couple of metres we are hard pushed to tell this is a double glazed sash window. Full sash window replacement from single pane to double or triple glazed sash windows or casements. This is probably my least favoured solution given the exorbitant costs that will never be recouped in heating, in your lifetime, and certainly will not reflect in rental yield in the average London home, or probably even a high end luxury one for that matter. It’ll certainly improve security, make the home far less noisy, and in general, improve the comfort but at as much as £2000 per window, and while you get what you pay for, attempting to use original joinery, prior to complete replacement is a sensible solution for achieving sound proofing, and thermal insulation. Pound for pound, overhauling and draught proofing your sash windows, then secondary glazing is hands down the best way of reducing noise and heat loss in your home. Do not underestimate the value of a draught proofing system in this situation as it’s the draught proofing that creates a large air cavity which is incredible at stopping noise. It’s hardly surprising when you think about it though, the air gap is 10cm or so with this system. The draught proofing also stops dust ingress. Anyone who has secondary glazing without a draught proofing system will understand just how much of a benefit not needing to clean behind the secondary glazing is. It’s a fiddly job and time consuming, and will need doing again in a months time. 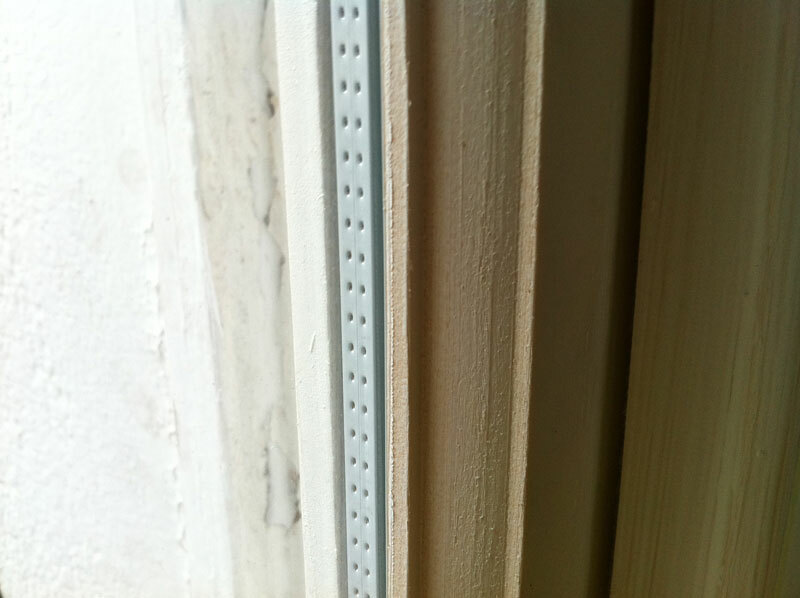 Secondary double glazing is much the same is secondary glazing with an extra cavity. While more efficient it’s not really needed and it’s also more costly, and given the effectiveness of single glazed secondary glazing for sash windows, it’s not money well spent.